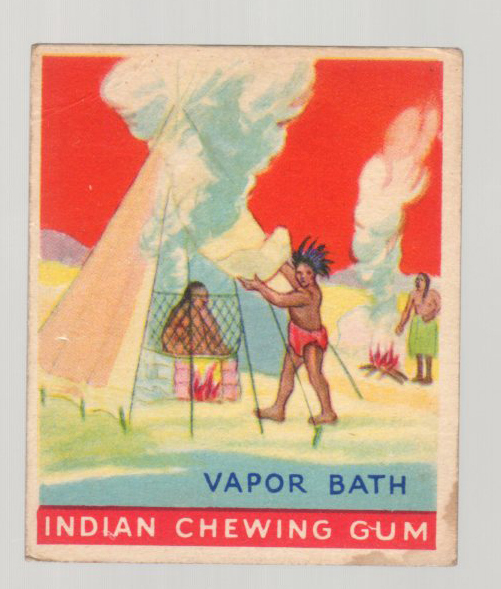 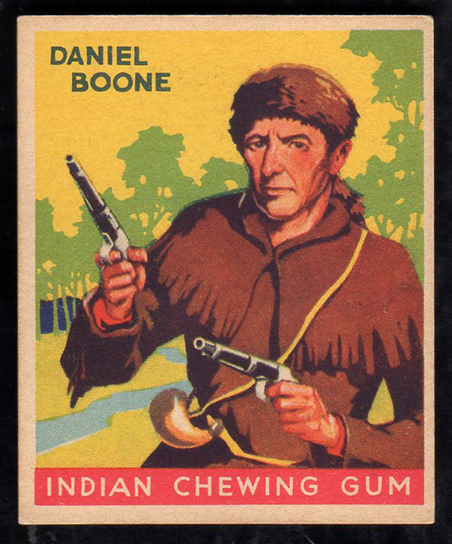 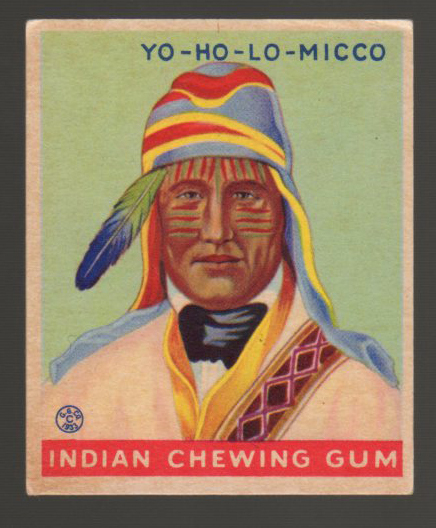 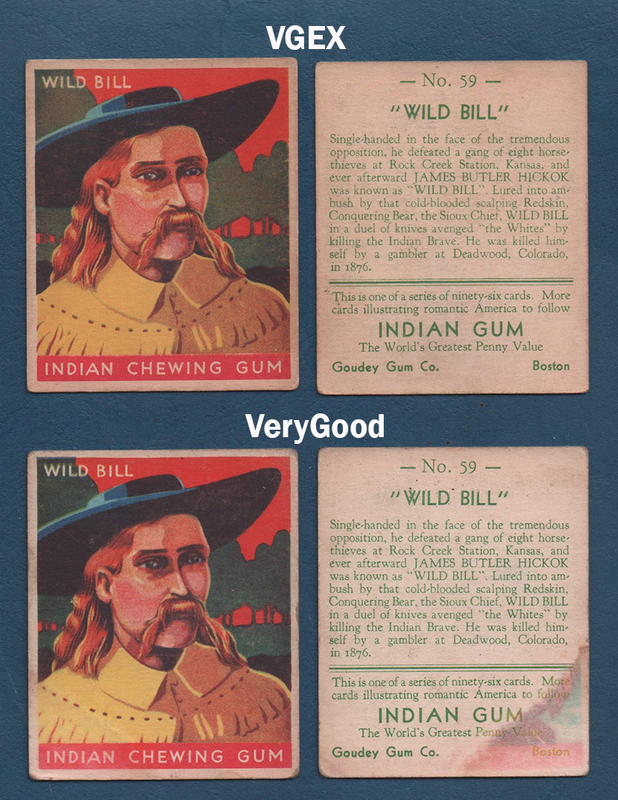 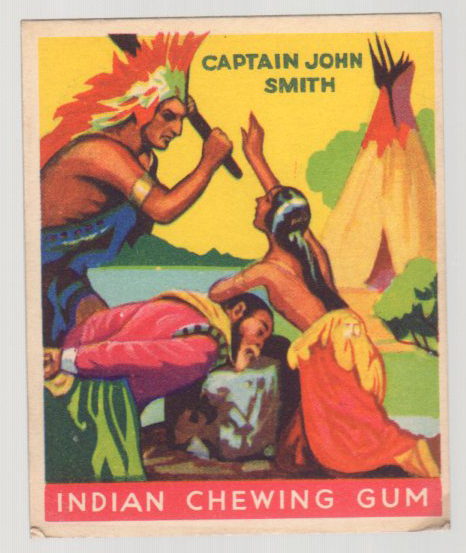 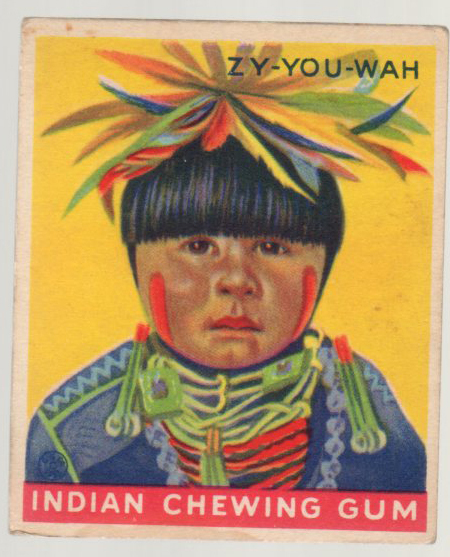 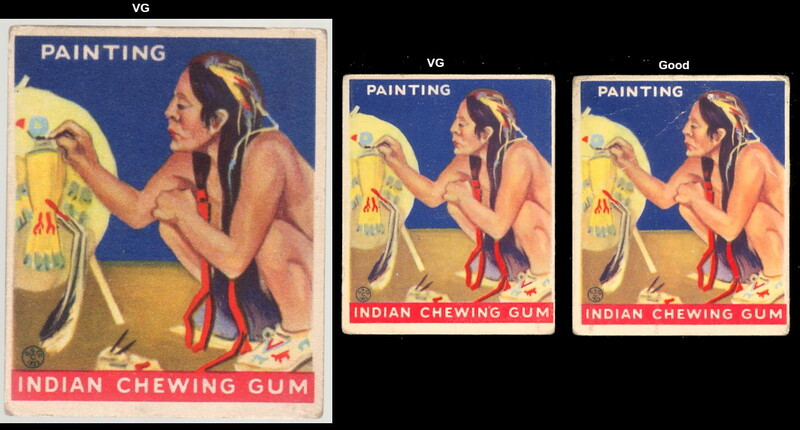 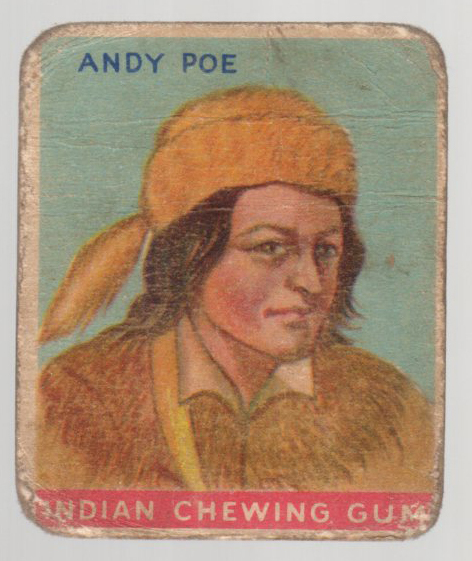 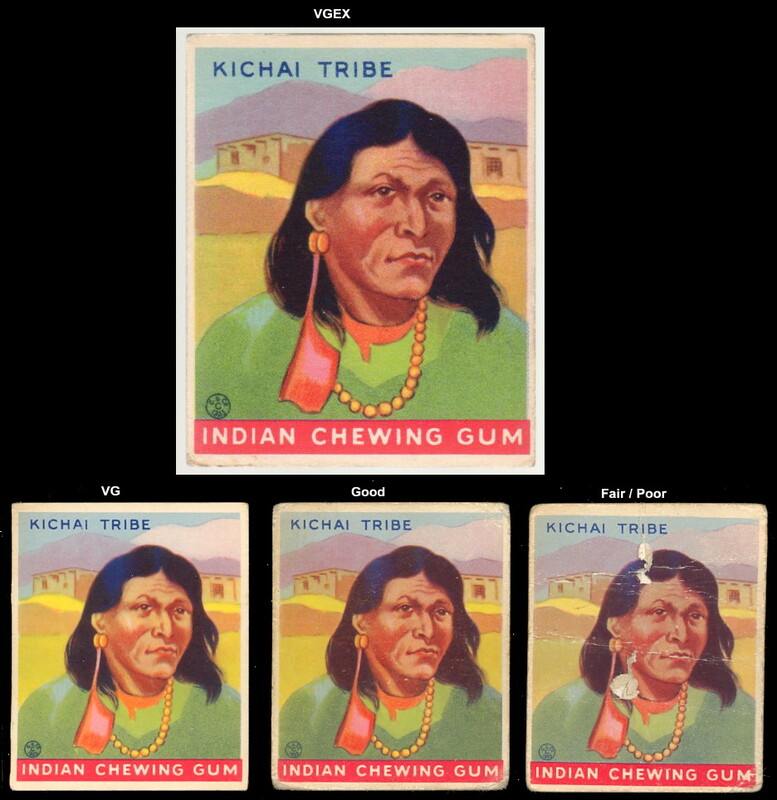 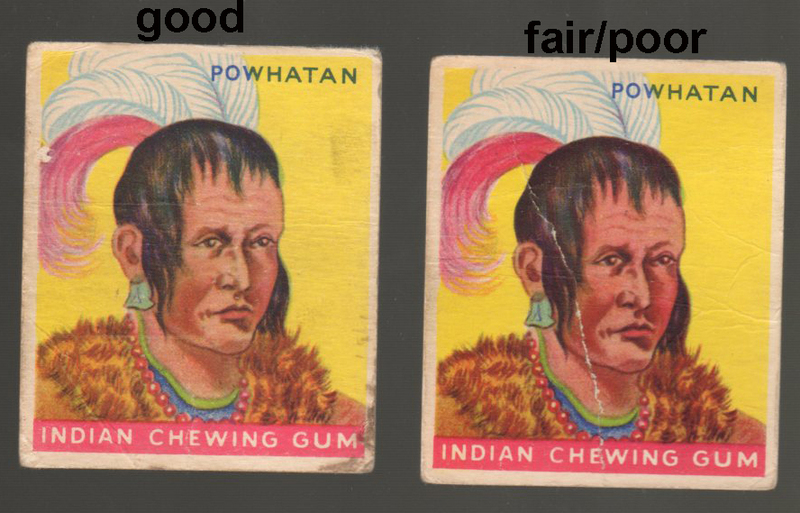 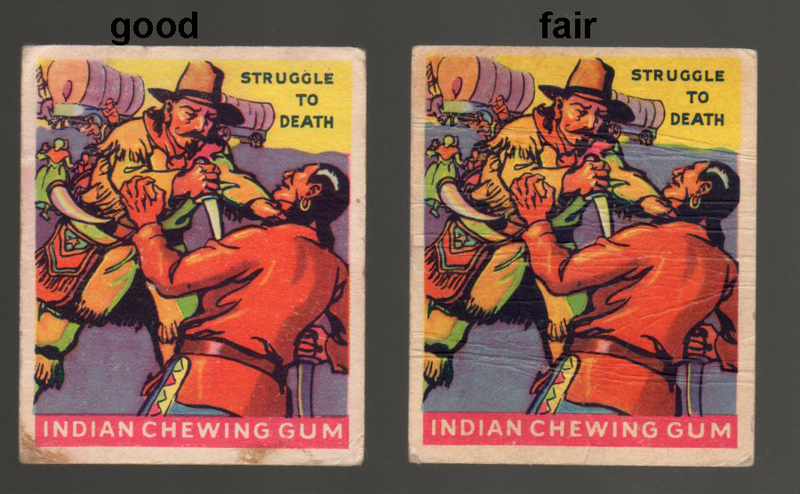 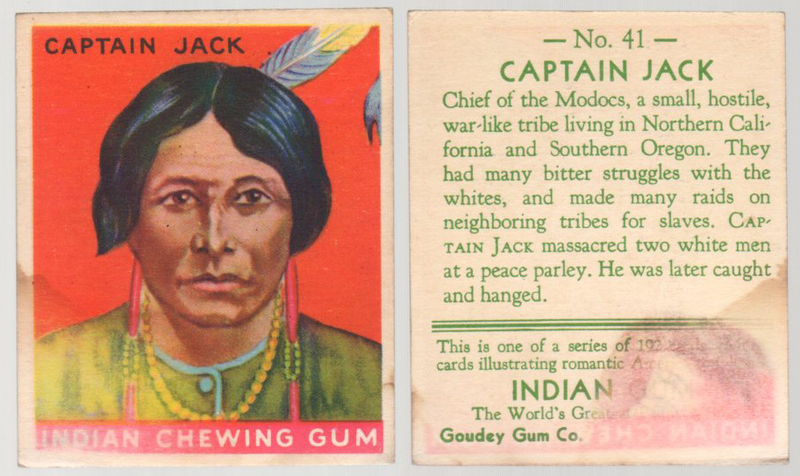 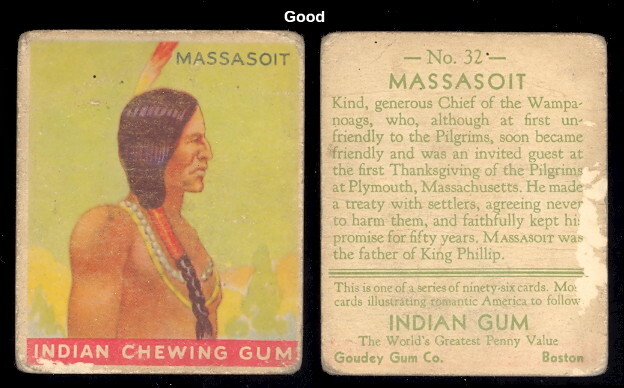 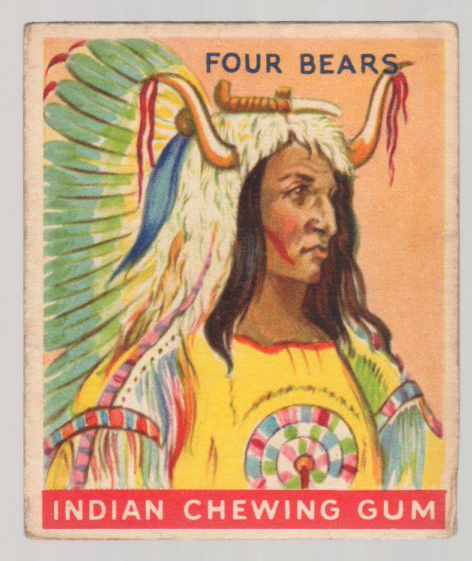 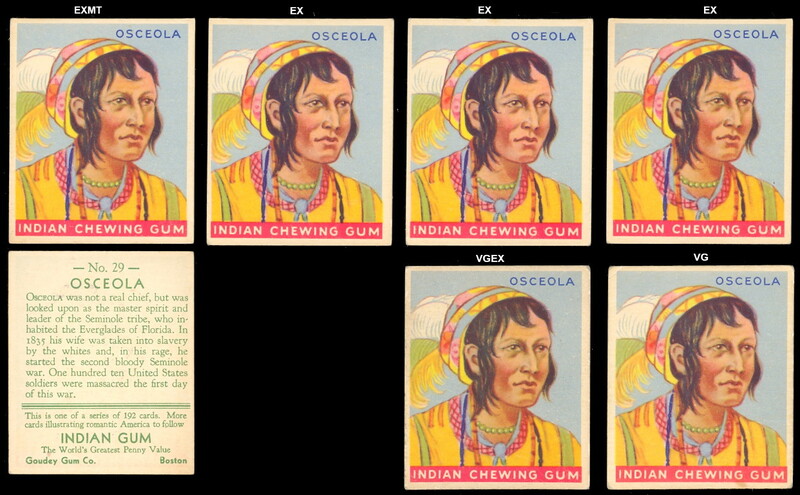 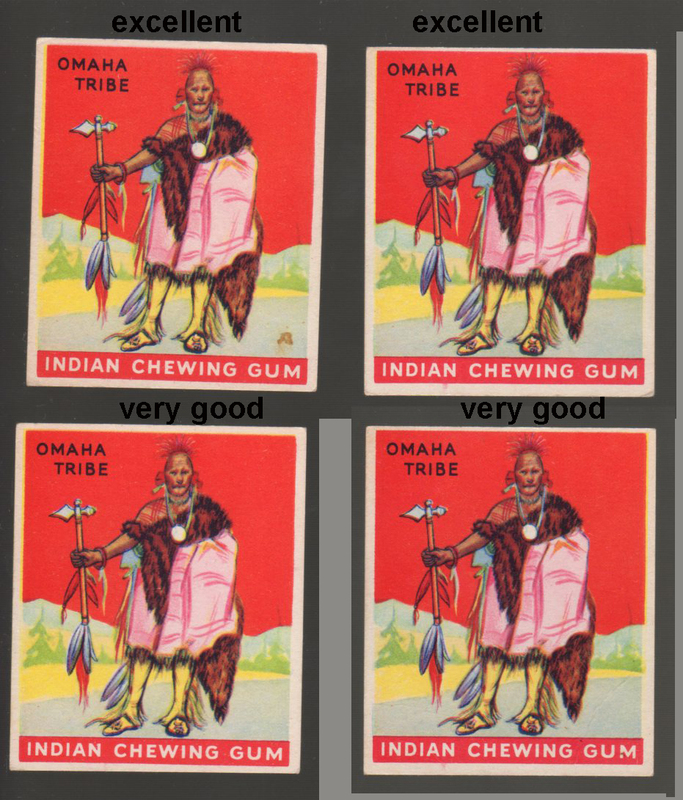 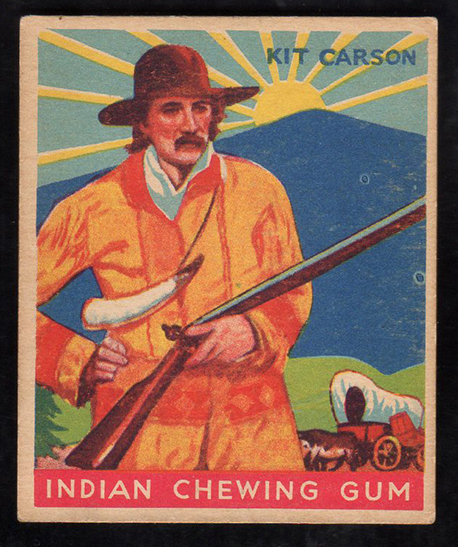 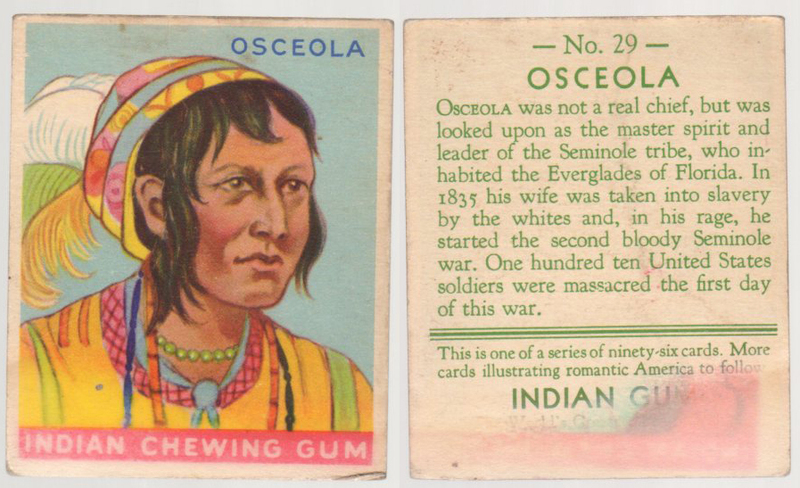 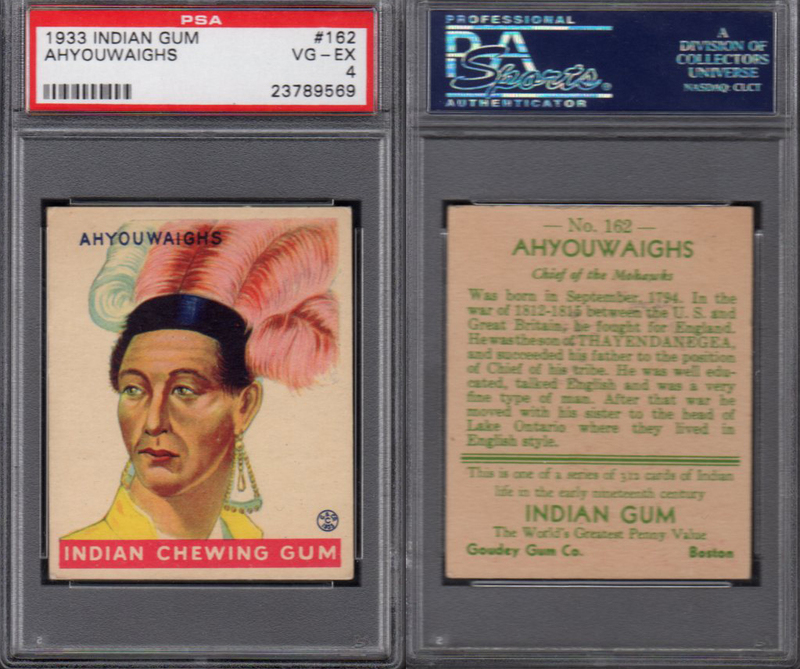 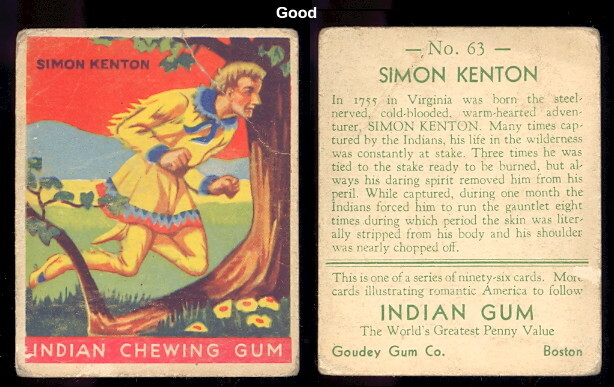 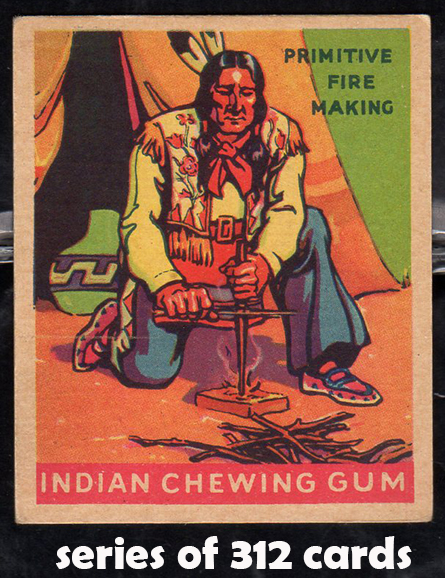 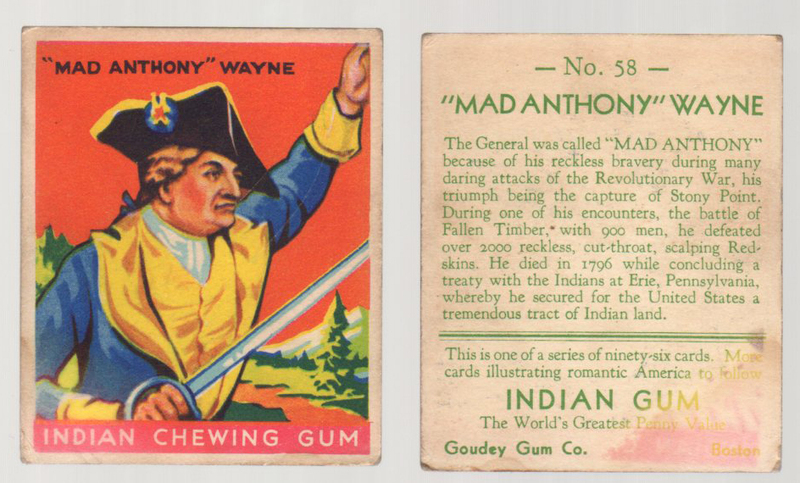 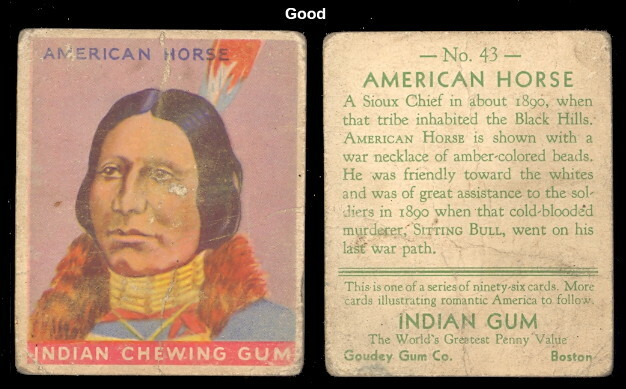 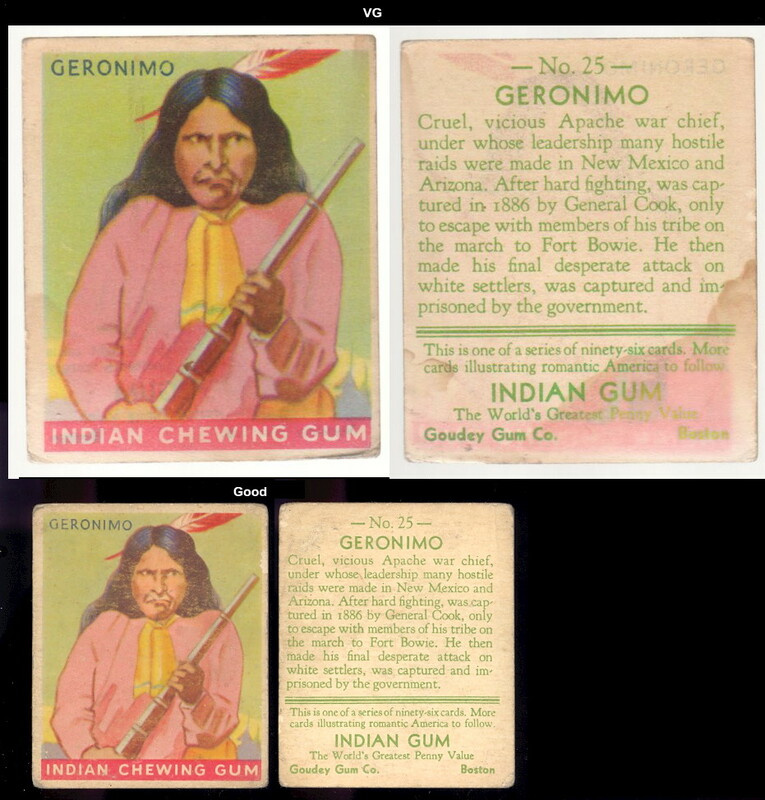 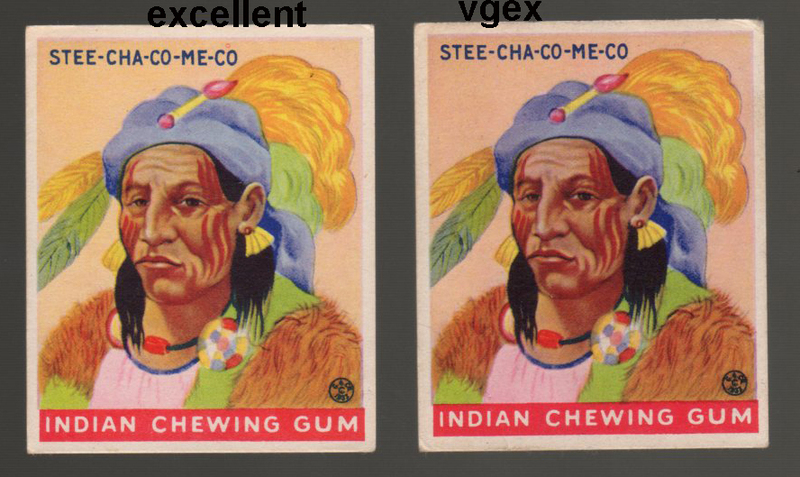 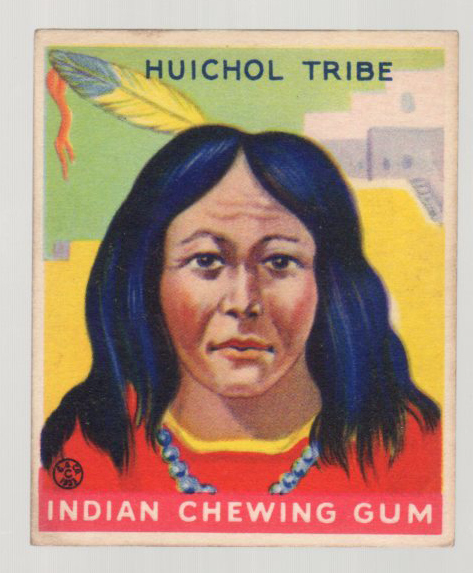 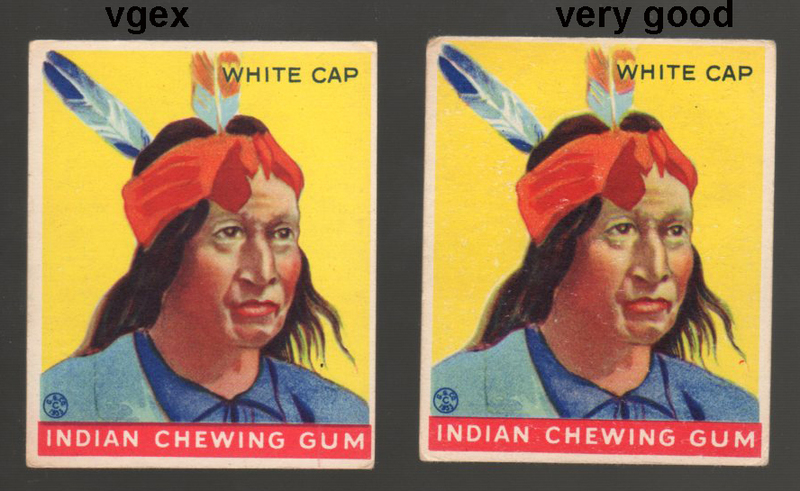 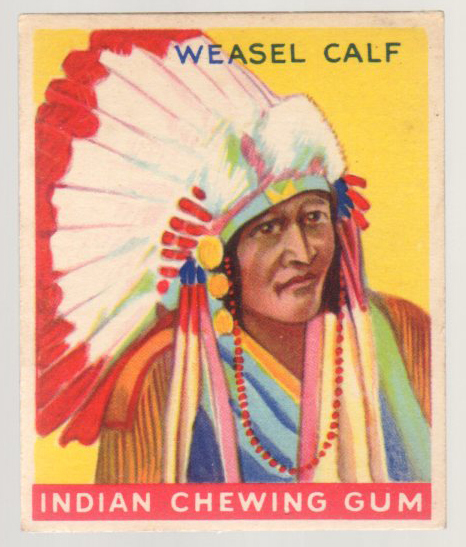 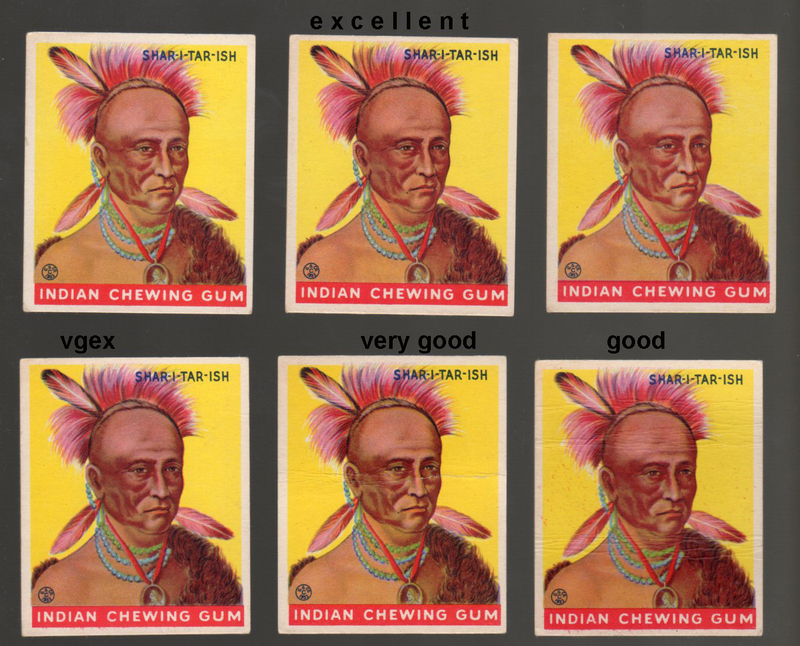 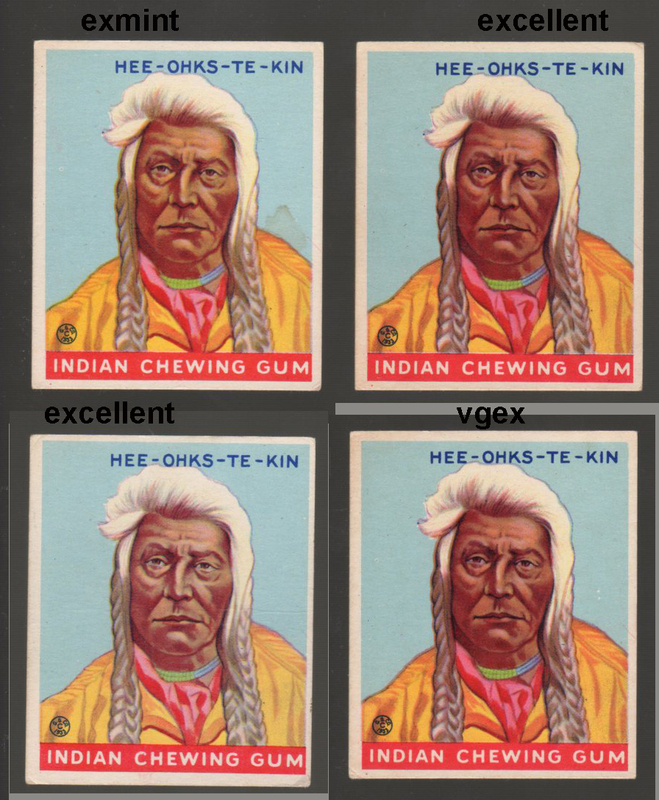 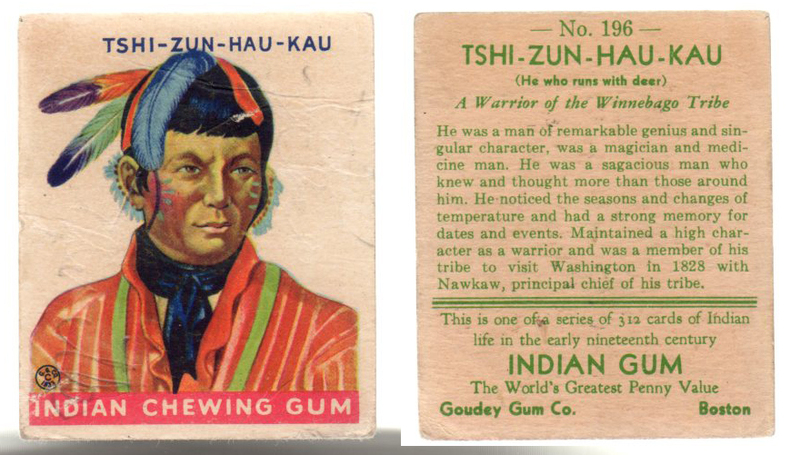 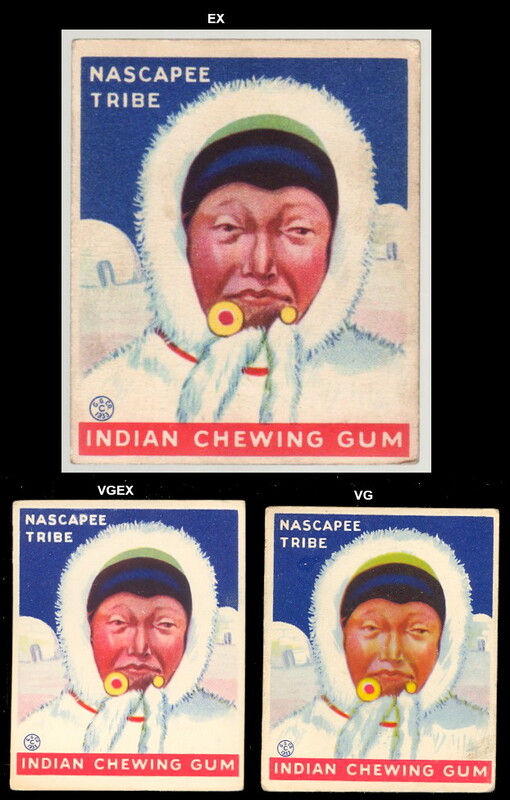 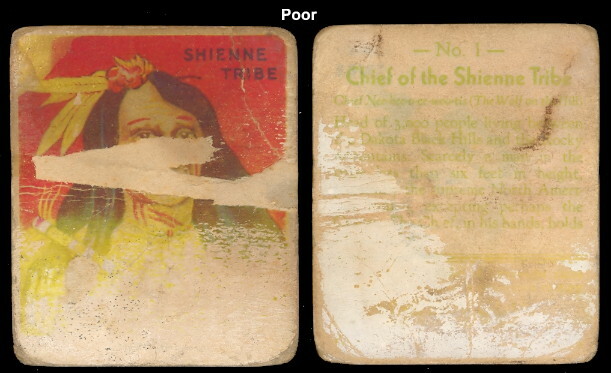 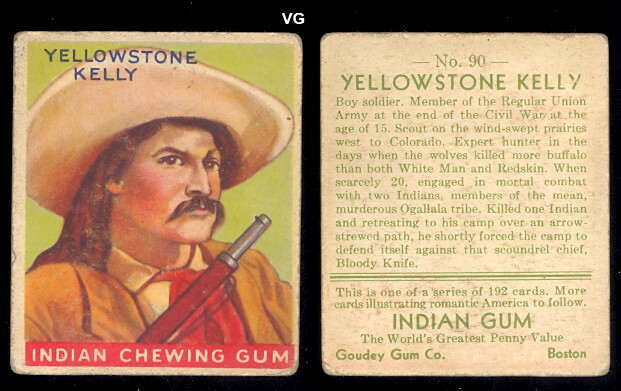 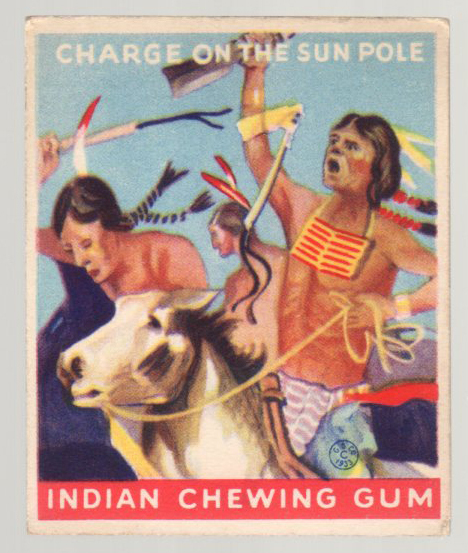 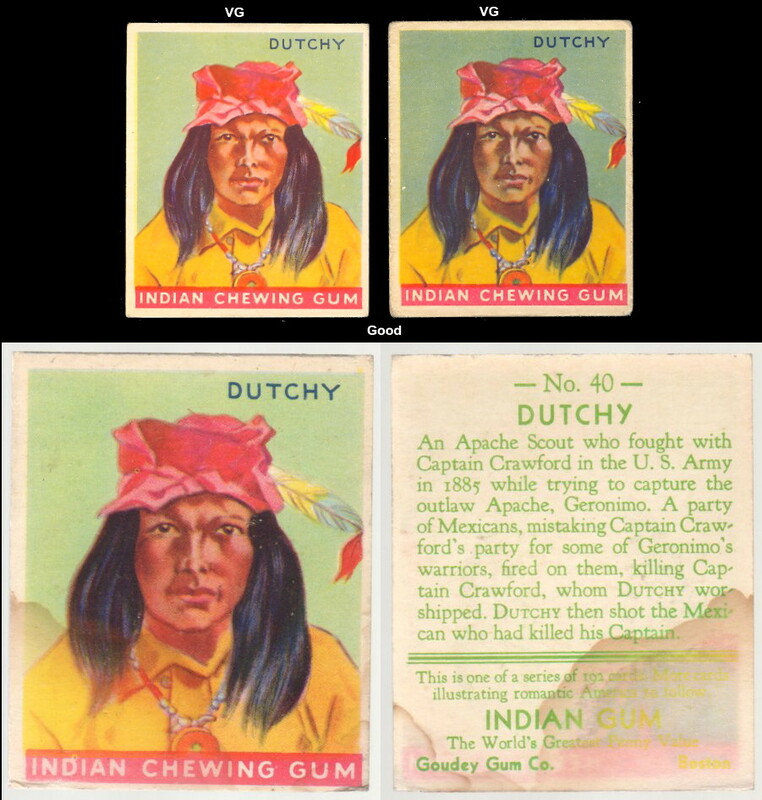 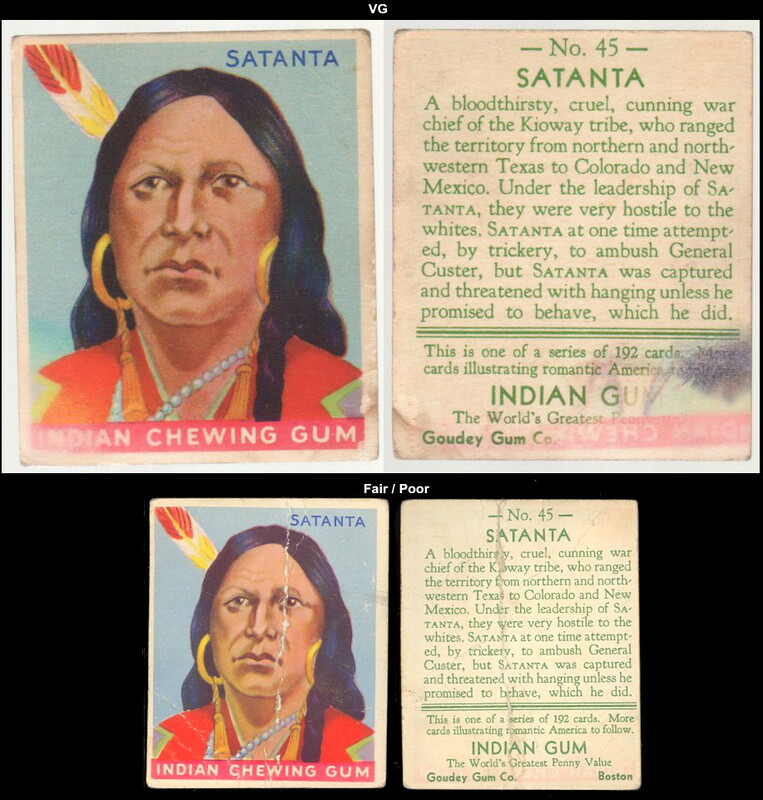 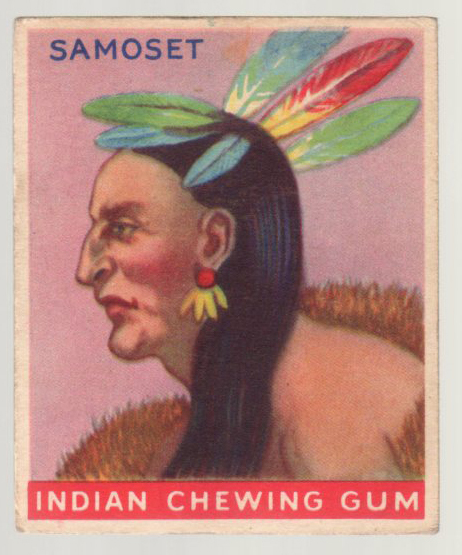 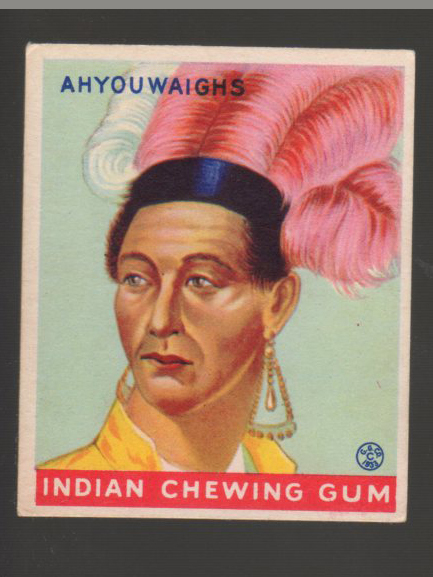 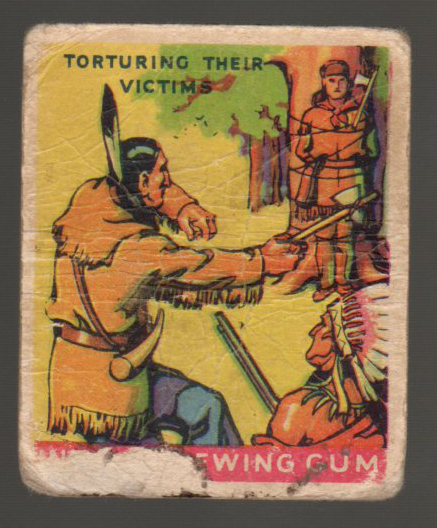 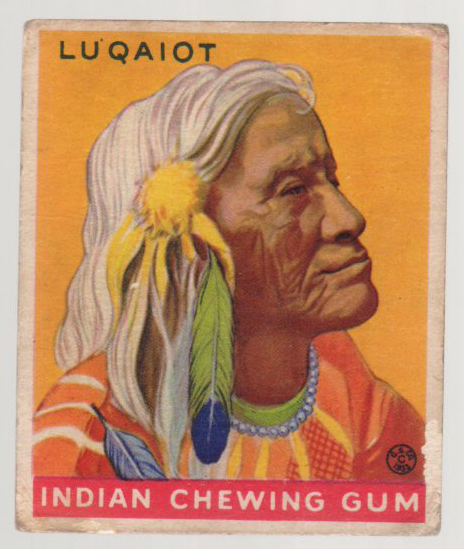 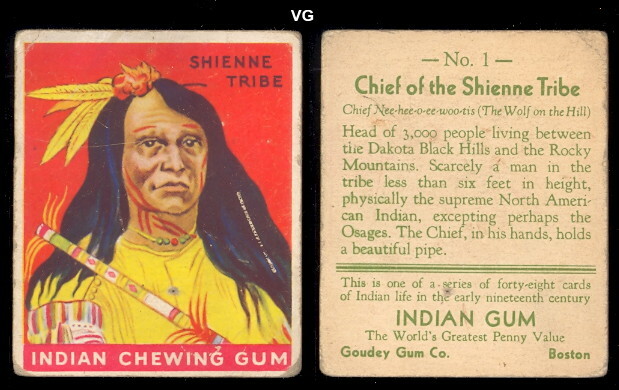 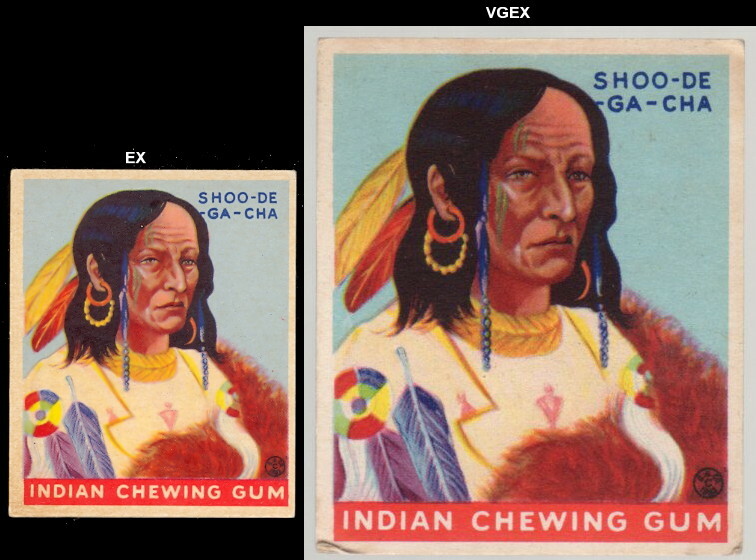 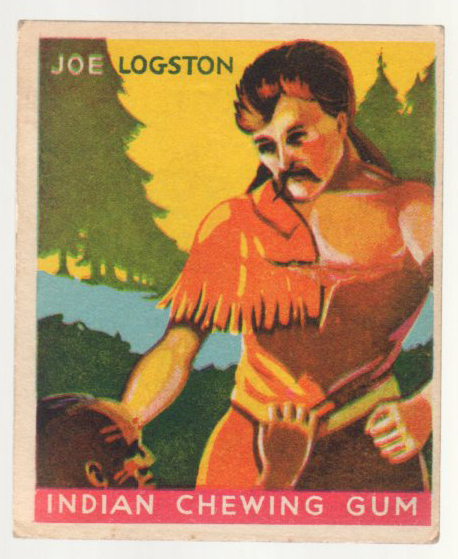 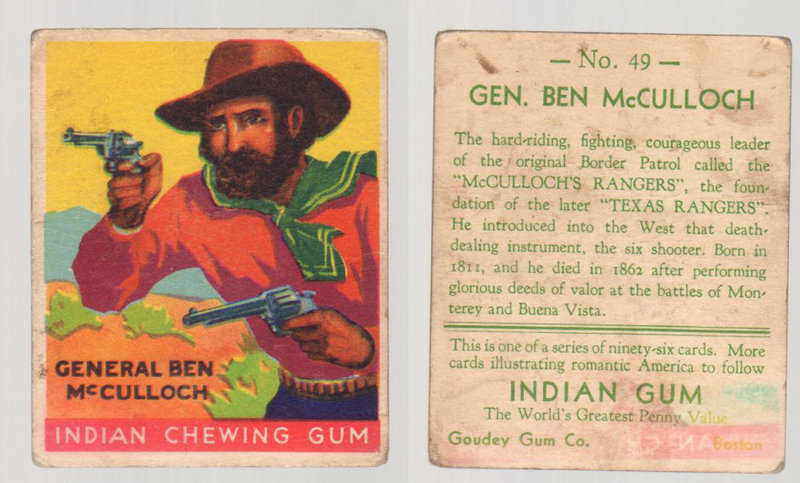 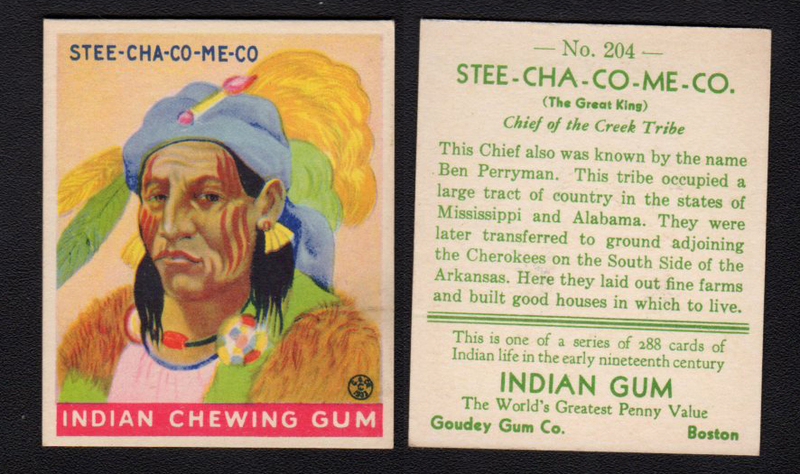 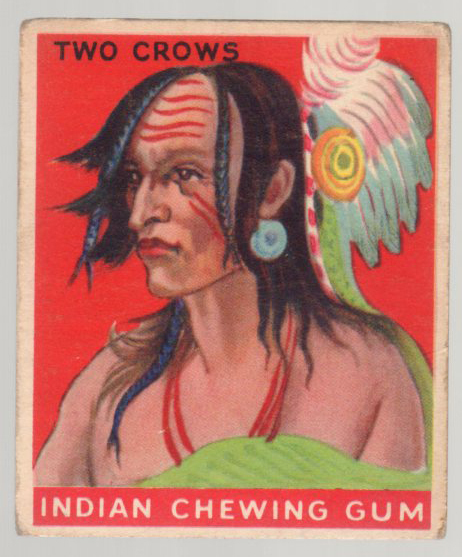 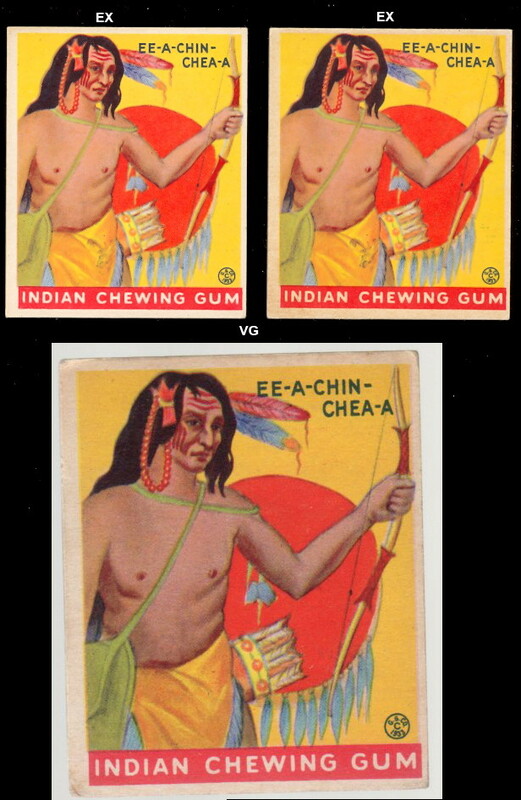 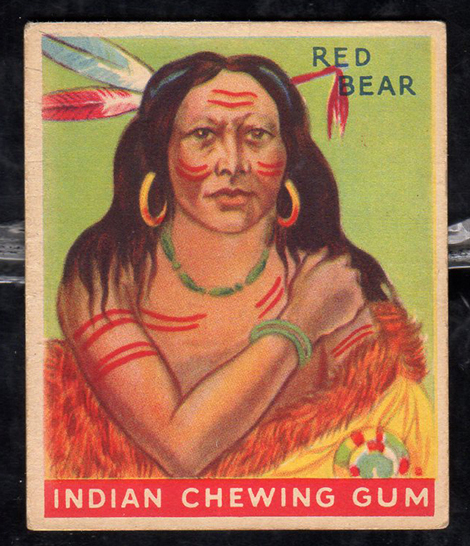 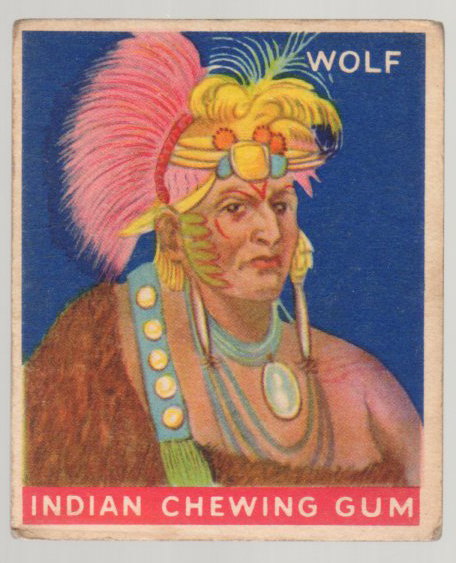 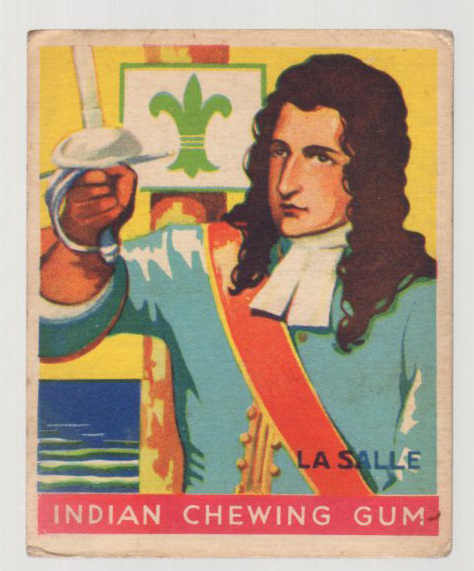 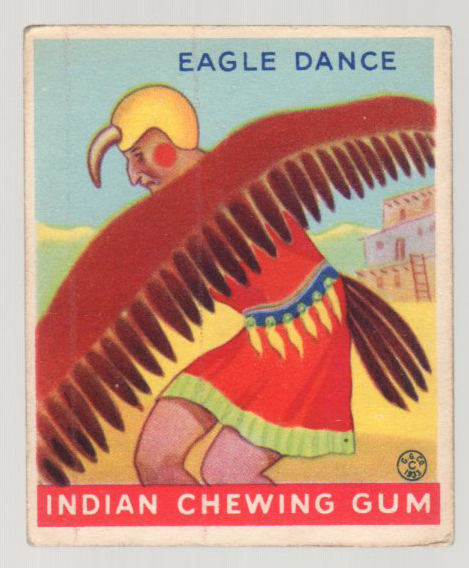 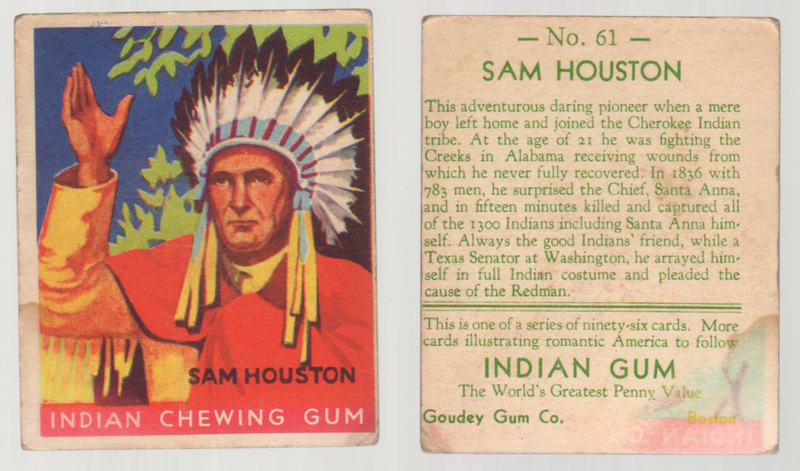 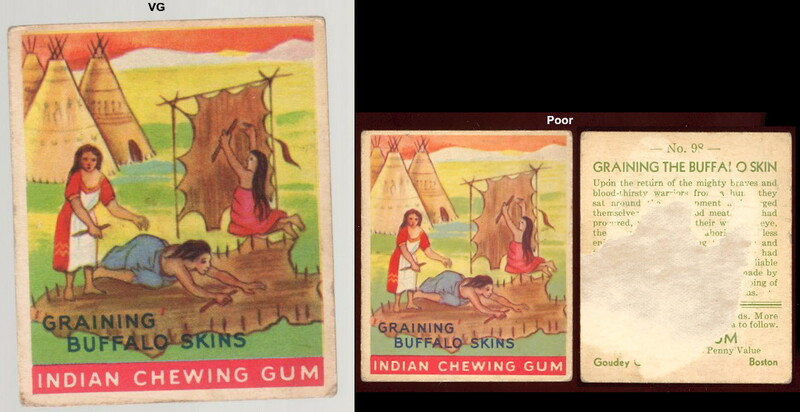 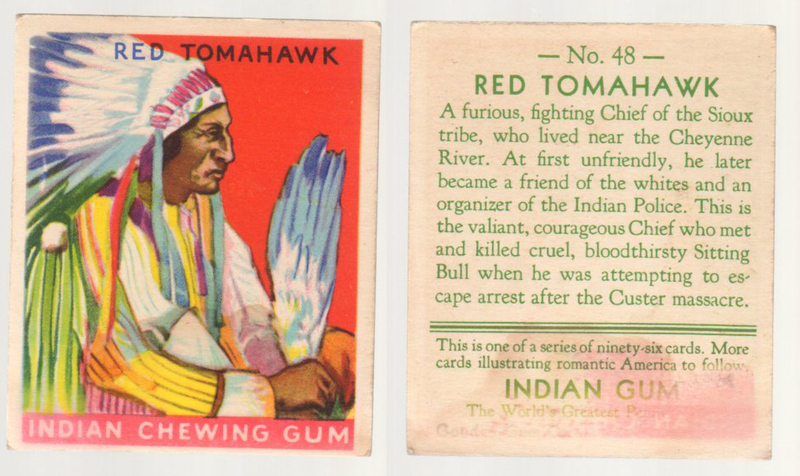 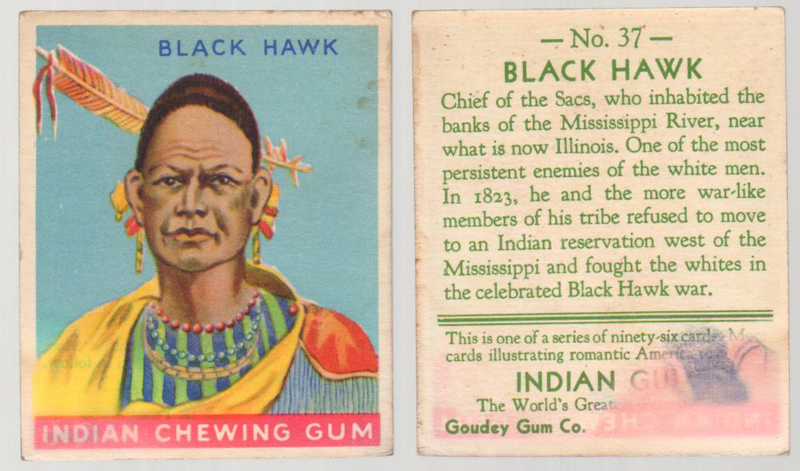 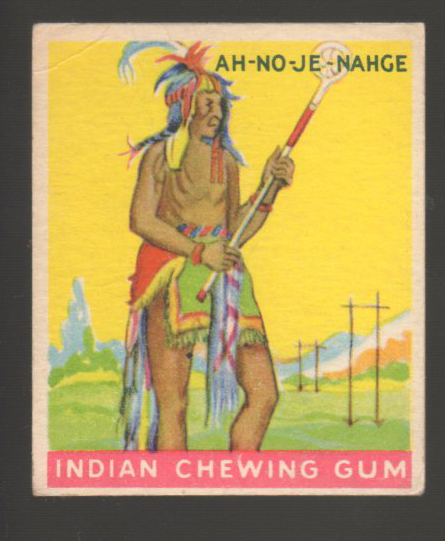 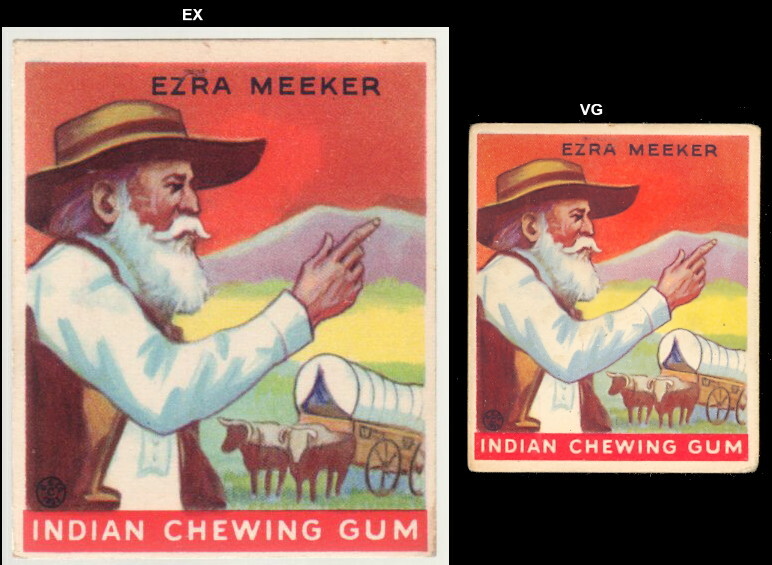 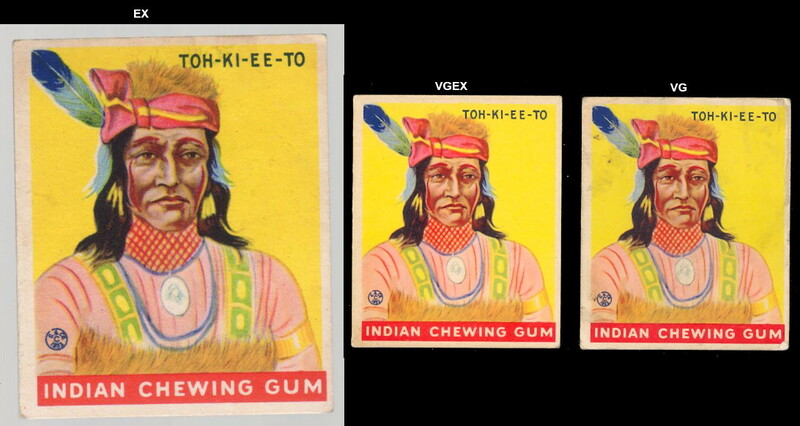 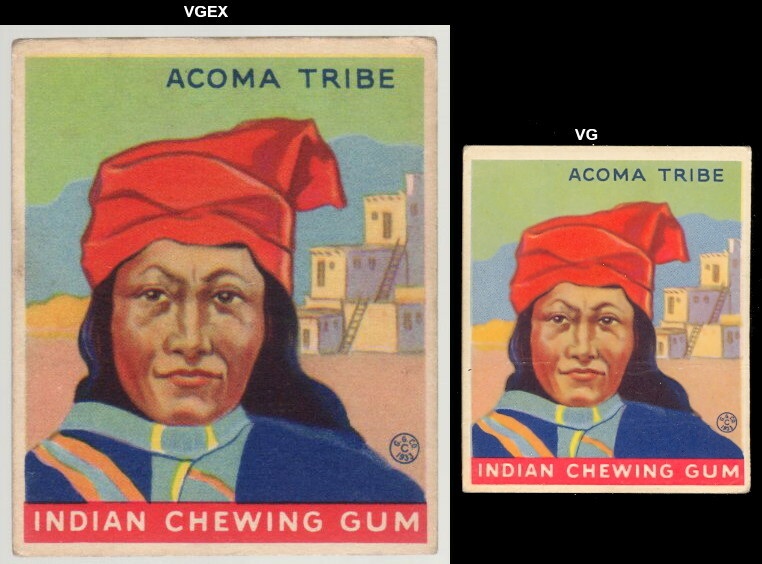 The 1933 Goudey Indian Gum set was issued over a period of years starting in 1933 up to 1940. 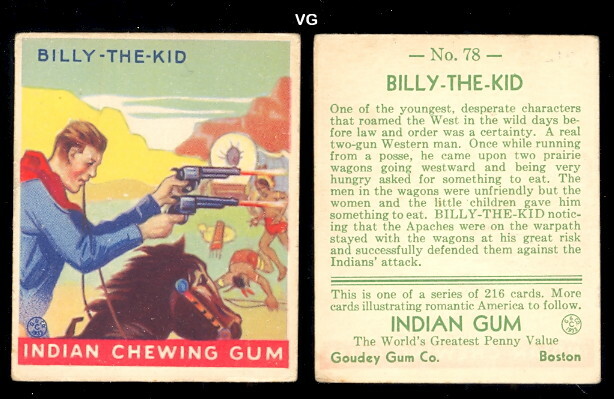 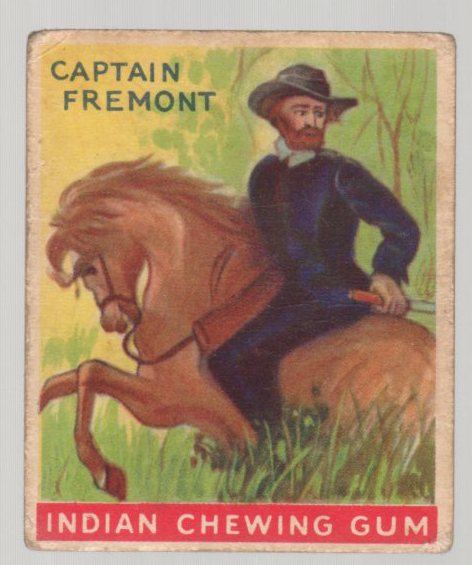 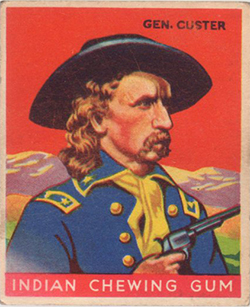 There are 216 cards in the complete set and they were issued in several different skip-numbered series. 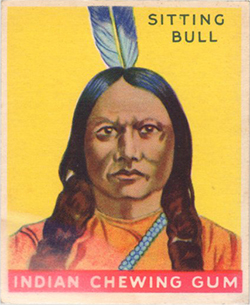 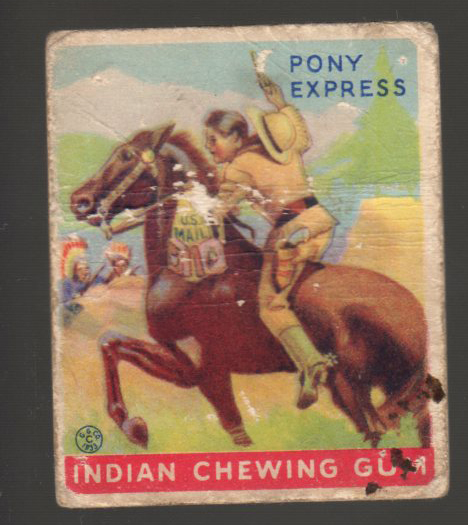 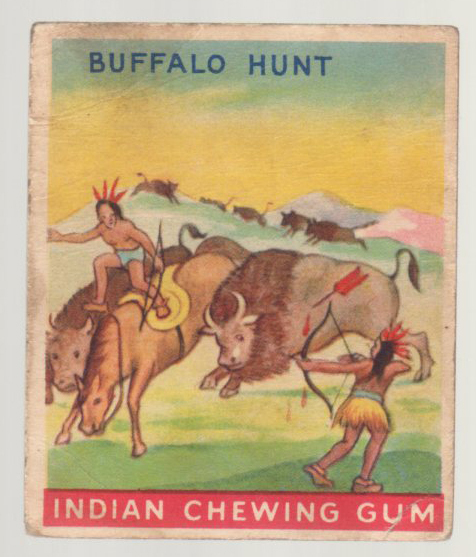 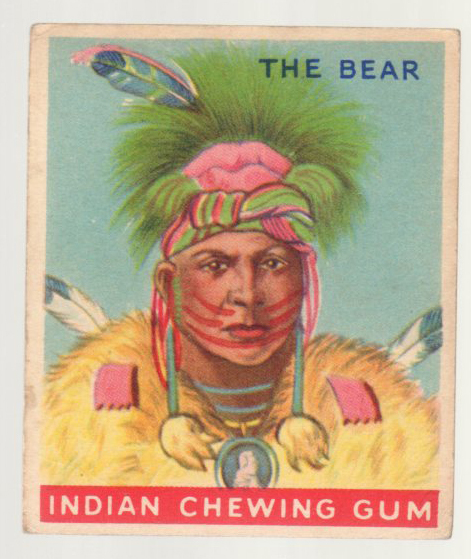 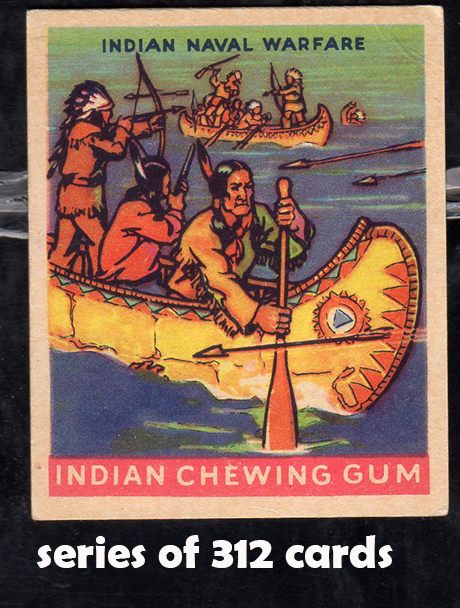 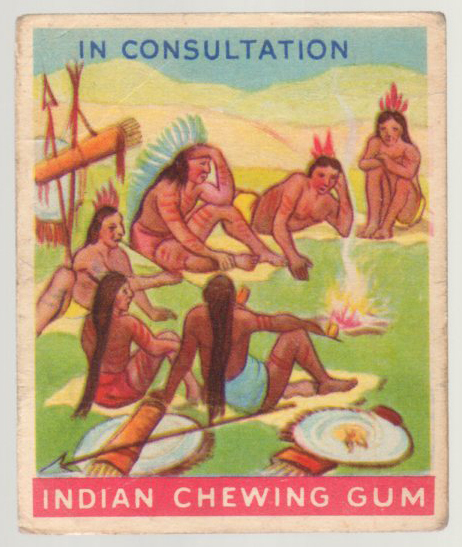 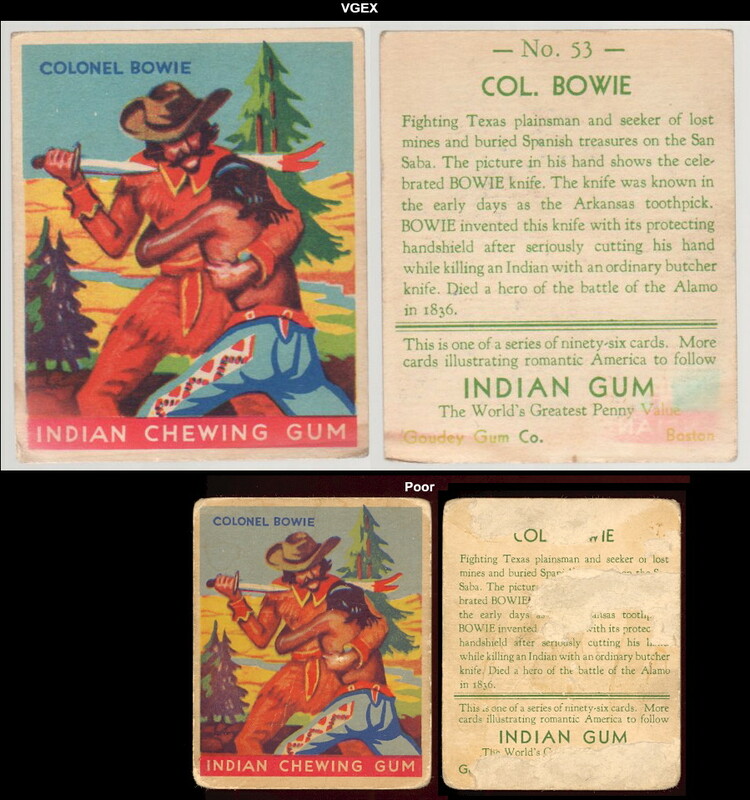 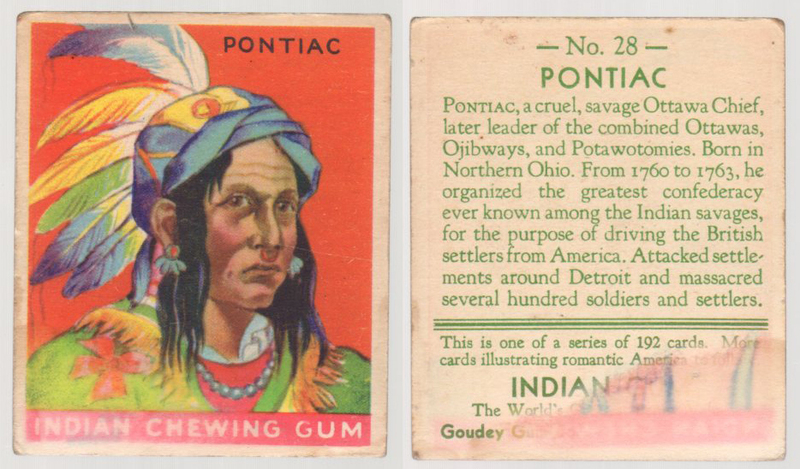 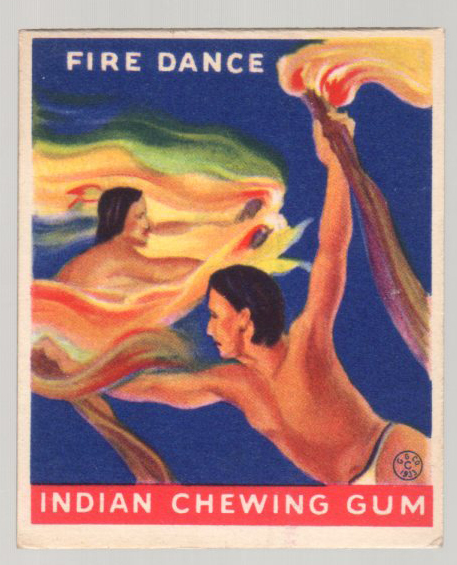 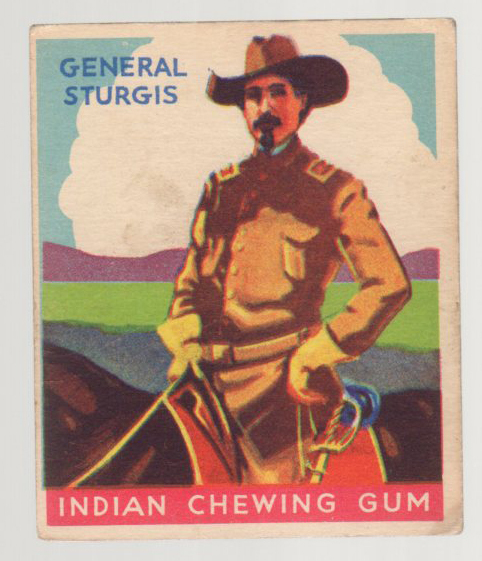 The fronts feature beautiful color drawings of famous Indians, Western heroes, Historic events, Indian adventures, and daily Indian life activities along with a title and the words Indian Chewing Gum along the bottom. 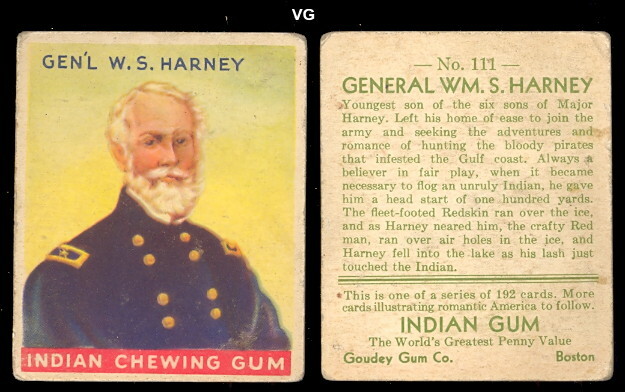 The backs have the card number along with descriptions and a line indicating the series. 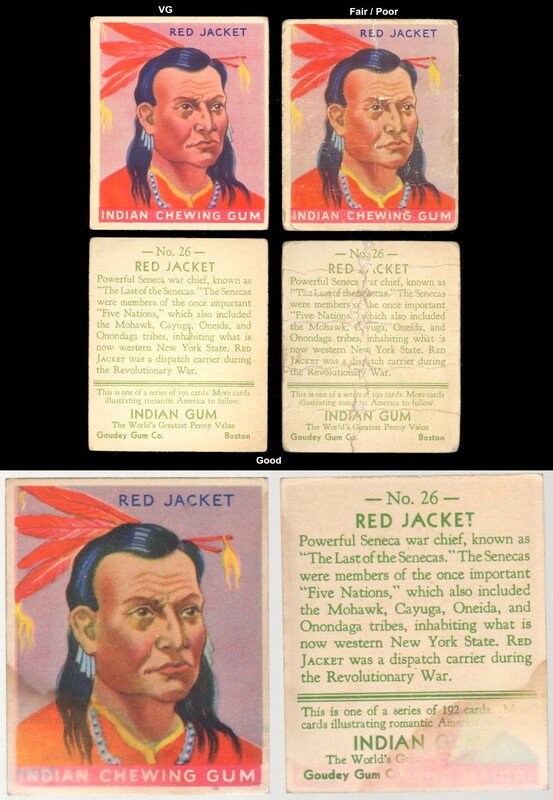 These cards can be found with series of 24, 48, 96, 192, 216, 264, 288, and 312. 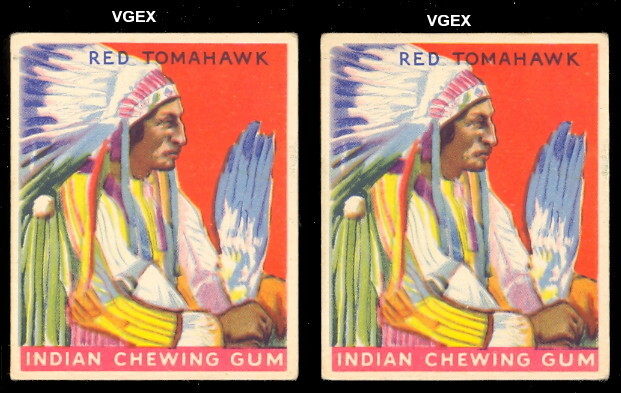 There are many different variations in the set depending on series or color variations. 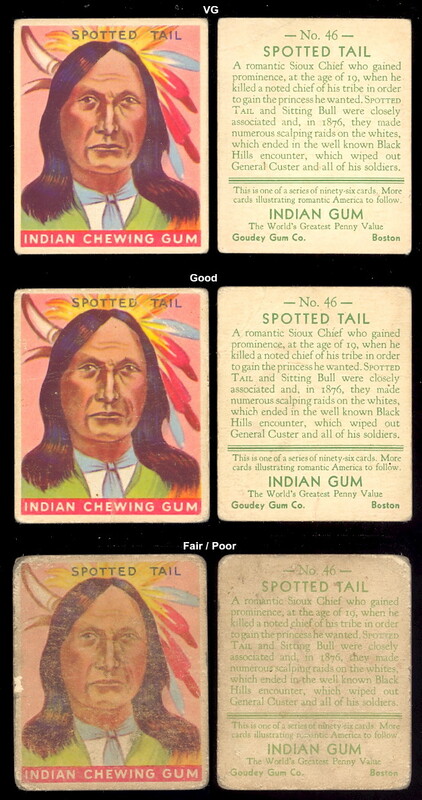 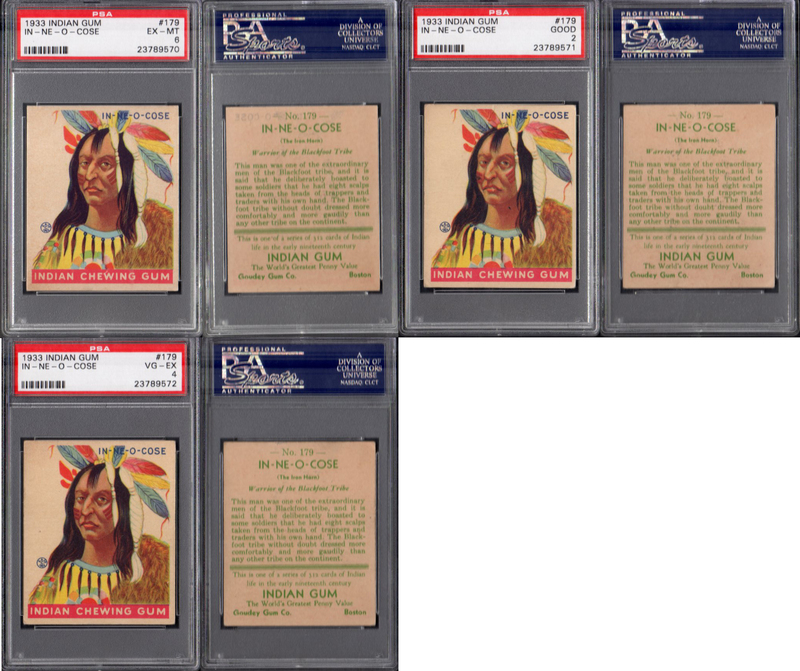 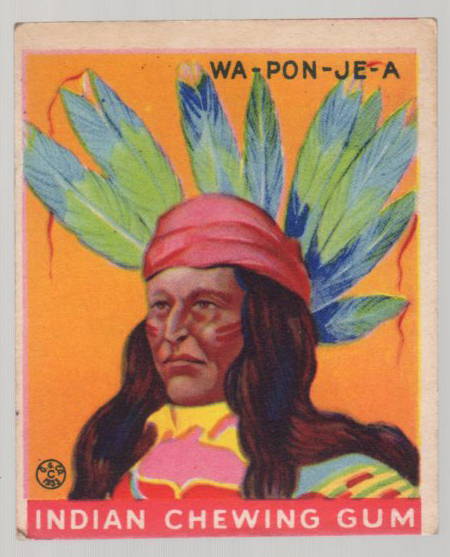 Some of the famous included in this set are Geronimo, Pontiac, Pocahontas, Sitting Bull, Tecumseh, Daniel Boone, Davy Crockett, General Custer, Buffalo Bill, Kit Carson, and many others! 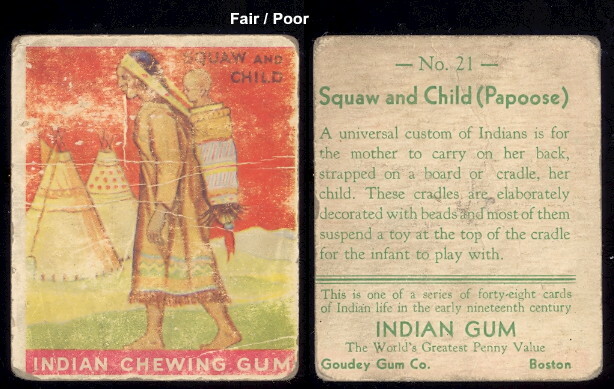 The cards measure 2-3/8" by 2-7/8" in size.